A first of its kind atomic level look at the enzyme telomerase may “unlock the secrets to the fountain of youth”, according to scientists at Arizona State University in collaboration with the Chinese Academy of Sciences in Shanghai. The study was published on May 4th 2014 in the journal Nature Structural & Molecular Biology. A release from the university notes that telomeres and the enzyme telomerase have been in the medical news frequently because of their connection with aging and cancer. Telomeres are found at the ends of our chromosomes and are stretches of DNA that protect our genetic data and allow cells to divide. A commonly used is that telomeres function in the same way that the plastic tips on shoelaces do. The telomeres keep chromosome ends from fraying and sticking to each other, which would destroy or scramble our genetic information. Each time a cell divides, its telomeres get shorter. When they get too short, the cell can no longer divide and it becomes inactive or dies. This shortening process is associated with aging, cancer, and a higher risk of death. The initial telomere lengths may differ between individuals. The release quotes Julian Chen, professor of chemistry and biochemistry at ASU and one of the project's senior authors, as saying, "Telomerase is crucial for telomere maintenance and genome integrity. 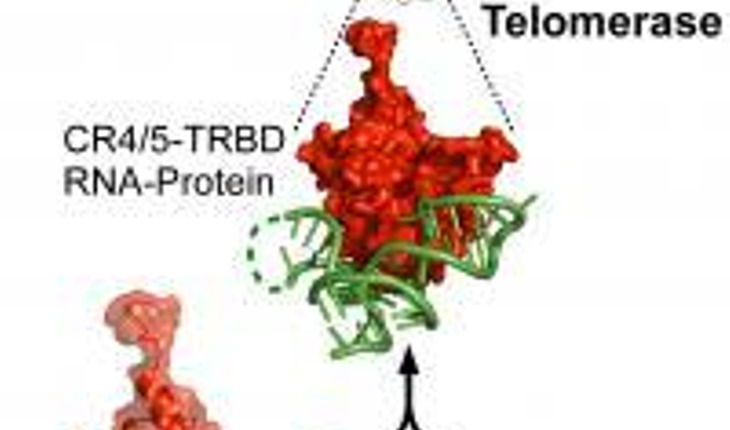 Mutations that disrupt telomerase function have been linked to numerous human diseases that arise from telomere shortening and genome instability. Despite the strong medical applications, the mechanism for telomerase holoenzyme (the most important unit of the telomerase complex) assembly remains poorly understood. We are particularly excited about this research because it provides, for the first time, an atomic level description of the protein-RNA interaction in the vertebrate telomerase complex."